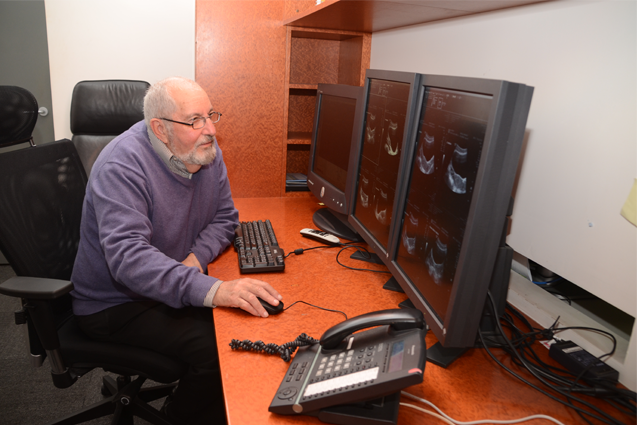 We have being servicing the Teleradiology space since 2001. During that time we have endeavoured to deliver ever increasing service options to suit our various client requirements. Our offering falls into two basic models with variations to each that suit specific client’s needs. Clients leverage off our existing RIS/PACs and alleviate themselves from the significant costs associated with their implementation and ongoing maintenance. This option tends to suit smaller clients or start ups with minimal existing infrastructure. Typically Image data is routed from the client’s site to our PACS server via a VPN and processed according to our existing workflow.Clients have several options as to the type of report delivery available to their referrers such as Print, EDT or Web Portal, as well as offering the option of viewing diagnostic quality images online via a thick client or the convenient Web Portal. The study images can be archived indefinitely on our fully geographically redundant PACS to enable historical comparisons of image sets. All patient data and images remains on our premises . We link into our client’s RIS/PACs via a secured data link and report, utilizing the client’s existing infrastructure, systems and workflow. This option tends to suit larger established clients that desire to keep their systems in house and want to outsource either all the reporting or only a subsection such as a specific modality. This option also suits clients that may have a short term, backup or overflow reporting requirements. We generally setup dedicated PCs with appropriate applications at several sites to enable redundancy and flexibility.